Everything must be in by 5:00 PM (Central Time) on Sunday, December 19th. This is so I can put everything together and have it ready in time. NOTHING DEGRADING, INSULTING, OR SEXUAL IN YOUR PIECES. I am going to emphasize this because there are just too many attackers. For the reason of why, I have no idea. But, please be kind, nice, and sweet. Is there a hashtag? Yes, there is. #bobbysbirthdayproject Use this while tweeting your pieces. Try to keep the project a secret! We want Bobby to be completely surprised! Have fun, and put your heart into it! I cannot wait to see all of your lovely work! Everyone at Grounders Source wants to wish Eliza Taylor a very spectacular birthday today! Fans emailed and tweeted me wishes and photos as part of a special birthday project just for Eliza. Thank you all who have contributed! I hope that you love the video card that I made! 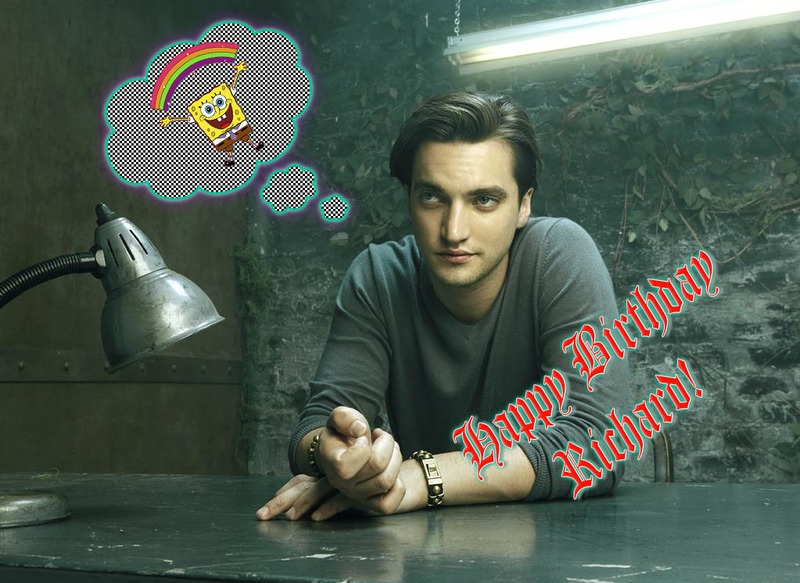 Happy Birthday To Richard Harmon! 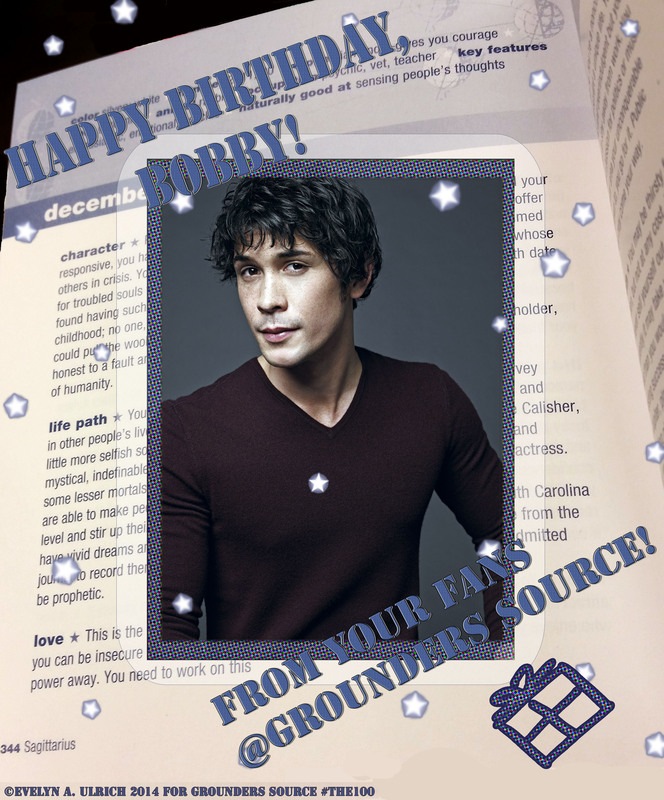 Grounders Source would like to wish Richard (who plays the notorious, yet semi-soft John Murphy) a very happy and blessed twenty-fourth birthday! May his day be overflowing with love and well-being and the days that will come! ??? ?